SEARCH THIS SITE IN THE BOX BELOW! Type in a key word or two, find recipes and more, watch your spelling! Have a bunch for punch! 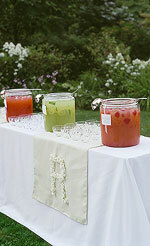 This was the punch table at a wedding, set up prior to dinner, while awaiting the arrival of the Bridal Party. 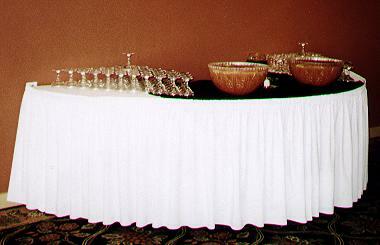 Wine glasses were used instead of punch cups.